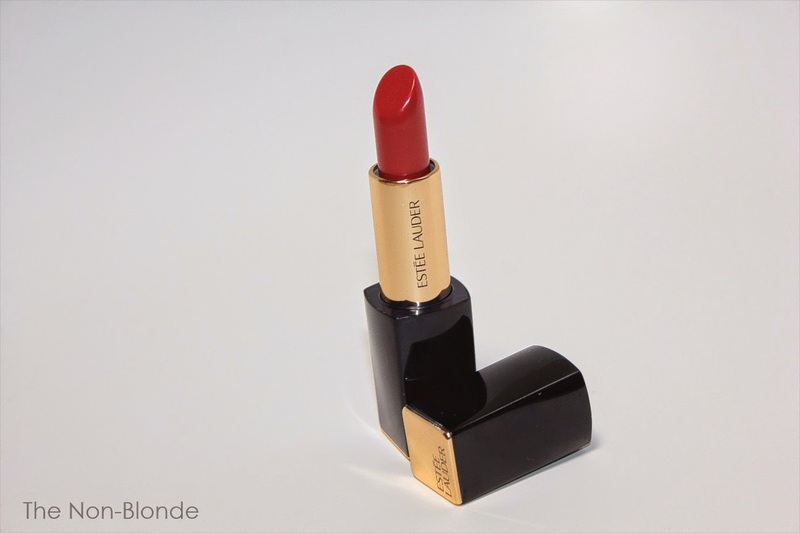 Pure Color Envy may be my favorite Estée Lauder lipstick formula. The balance between creaminess, hydration, and the weightless feel is as close to perfect as it gets. The fully saturated opaqueness looks and feels very rich. and have I mentioned the creaminess? It's that good. This Estée Lauder product offers a similar luxurious feel to some $50 lipsticks, so it all comes down to finding a good color (or three). Fierce is one of the new Estée Lauder colors for fall, and right now seems to be semi-exclusive to Saks, Neiman, and Bergdorf. It's a warm rose, perfect for the season and easy to wear. 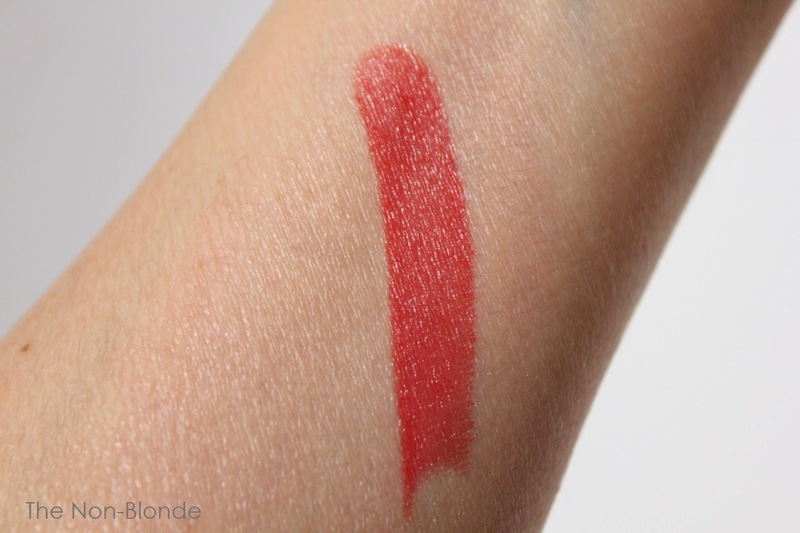 The lipstick offers a full coverage and an elegant silky finish (no extra shine). It has an above-average longevity and barely transfers to tea cups, an impressive feat for such an hydrating formula. 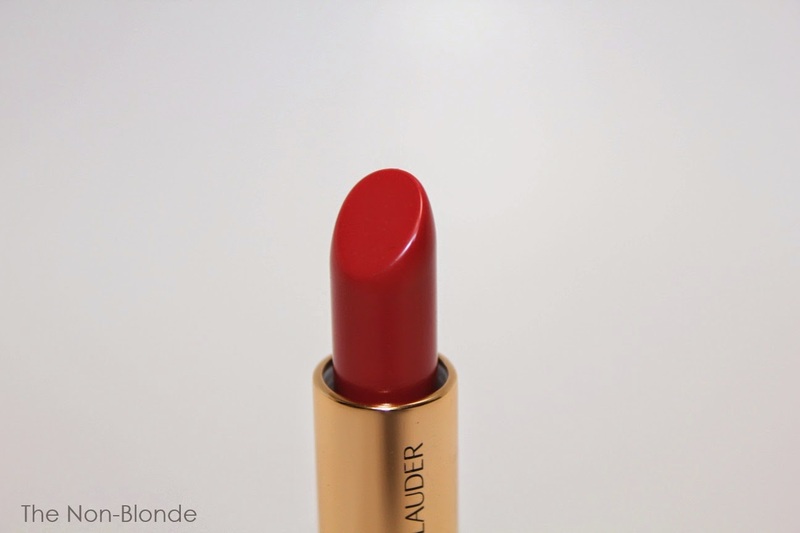 Like all Lauder lipsticks it contains fragrance, but the scent is very light and disappears quickly. Do note that the formula contains lanolin oil, so it's not vegan, and wheat germ and wheat bran extracts. Bottom Line: why did I only buy one color? Estée Lauder Pure Color Envy Sculpting Lipstick In Fierce ($30) is available right now from Saks, Neiman Marcus and Bergdorf Goodman, online and in store. I have four colors already, and LOVE them. It's a great lipstick. I also love the case with that neat magnetic thing. I have been considering trying this line of lipsticks. But I'm glad you posted that they contain wheat germ and wheat bran extracts, a no-no for me. Ah well, plenty of other lipsticks out there to choose from.